When you came to Space Camp, did you ever look up at the big Space Camp sign and wish you could take it home? No? Well, now you can buy it, anyway! 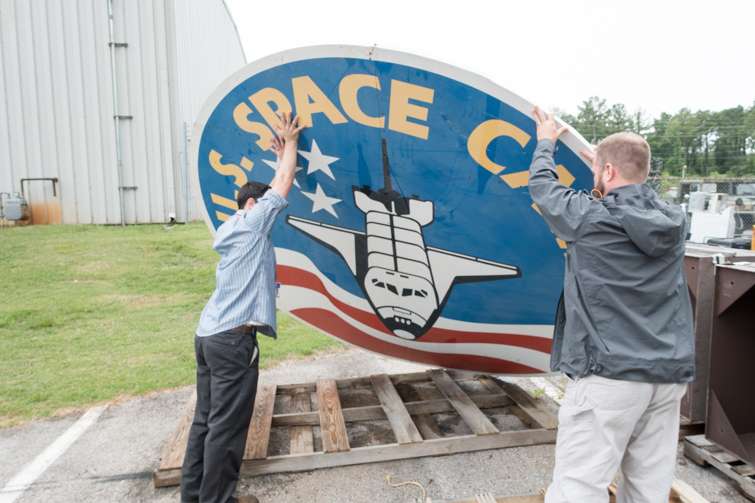 The old-logo sign is one of many items–some space related, some not, all great–up for auction this week! In most years, the Hall of Fame auction has required you to be present to bid, but this year is the complete opposite! Bid early, bid often, and come away with something nice!